Trademark Factory® International Inc. is the only firm in the world that offers risk-free trademarking services with a guaranteed result for a guaranteed budget. We use licensed lawyers and trademark agents to help you register your trademarks in the United States, Canada, European Union, Australia, and several other jurisdictions with a free trademark search, for a single all-inclusive flat fee, with a 100% money-back guarantee. We are a British Columbia company founded by Andrei Mincov, a former intellectual property lawyer with over 20 years of Canadian and international experience. Our recent clients include Dan Lok®, Foreverspin®, Mr. Locksmith®, Shack Shine®, Drumeo®, John Chow Dot Com®, FitterFirst®, Baby Got Booked™, LadyBoss™, Otimo®, SweatDate®, Tube Your Own Horn®, and many others. Trademark Factory® International Inc.’s headquarters are in Vancouver, British Columbia. We also have an office in Toronto, Ontario, and proudly serve clients from all over Canada, the United States and around the world. Andrei has since helped hundreds of creators and businesses. He’s done work for many composers; designers; book writers, including J.K. Rowling; film directors; singers; artists; individual software developers; movie producers; film companies ranging from small ones to Dreamworks; software companies from one-man startups to Apple, Microsoft and Sun; recording companies; electronics manufacturers, including Sony and Motorola; car companies, including Porsche and Ford; apparel companies, including Columbia Sportswear; perfumery and skincare companies, including Amway, L'Oreal and Mary Kay; and a countless number of other clients, big and small. Unfortunately, because of a number of archaic rules that govern what lawyers are allowed to do in Canada, we had our hands tied and could not deliver guaranteed flat-fee trademarking services to clients worldwide. Having realized that these rules only benefit regulators and old lawyers at big firms, Andrei voluntarily gave up his Canadian lawyer license. This is how Mincov Law Corporation became Trademark Factory® International Inc. I was 19 years old when I first got to be in a courtroom as a lawyer—virtually self-taught—representing my father, a famous Russian composer Mark Minkov, who caught a radio station stealing his music. My wife moved in to live with me after we've known each other for an hour and a half. I coded the first version of Trademark Factory website myself — and it worked! I was singing on stage with my father since I was 5 years old. I wrote 5 books on intellectual property, of which one is an international bestseller. I explain law so that a 9-year-old can understand. I told my wife that I'd propose to her after she gets pregnant with our first kid. We now have three amazing children: Masha, Patricia, and David. I used to record and mix music for my father. You could hear my recordings on CDs, in theaters, and on TV. I moved to Canada to start everything from scratch after being a successful lawyer in Russia, to seek a new challenge, to be in a place that respects intellectual property, freedom, and entrepreneurship. I write music and play the drums. In fact, I first visited the U.S. in 1989 because I wrote a song that was shown on national TV in Soviet Russia. I was an intellectual property lawyer in 2 countries for 20 years before I voluntarily gave up my lawyer license to offer guaranteed, all-inclusive flat-fee trademarking services to clients worldwide. Jamie Bashtanyk joined Trademark Factory® in 2017. She has been a licensed Canadian trademark agent since 2008 and has been working in trademark law since 2003. Jamie's experience includes trademark management both on the national and international fronts. She has consulted a wide range of clients in different fields of business including web-based business, small mom-and-pop shop businesses, as well as one of Canada's largest women's retail companies. Jamie has some experience with copyright, and industrial designs. I had my first son when I was 21. I wanted to be a lawyer until I worked in a law firm when I was 23. I have a strange fan girl obsession with New Kids On The Block (I’ve been on three NKOTB cruises and over 25 concerts). I planned my entire wedding the same year I wrote and successfully passed the trademark agent exam (it only had a pass rate or 20% at the time). I have three dogs and two cats (so add the husband and two sons and I essentially run a zoo). I am a proud Hockey Mom. I love to drive fast, but hate being the passenger in a car with a driver who is driving fast. 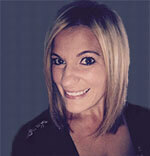 A new addition to the Trademark Factory® team, Amanda Cheply is a Trademark Agent In Training. Amanda previously worked in various industries, including fitness and woodworking, before exploring a career in intellectual property law. After some research, she set out with her goal to become a trademark agent, and is happily relishing in every aspect of her training. She looks forward to the opportunity to work with you, as she gains the knowledge and experience necessary in order to become a registered trademark agent, under the mentorship and guidance of Andrei and his team. Decayed architecture and urban exploration fascinate me. There are so many questions I have. The best foods are caviar and lobster, and I would happily live off of those. And Nutella. Eight years ago, I got my Vietnamese potbellied pig. I now live with 2 pigs and 2 large dogs. Reality TV is my guilty pleasure. Give me ‘Housewives’ any day! My pet peeves are lack of consideration for others, mouth breathers, and limp handshakes. I am fluently bilingual in English and French. Never do I go anywhere without my jug of water. Tap water scares me. Every bit the Cancer, I can be stubborn but tenacious and loyal, and I love the ocean. D is brown and A is red. I have Synesthesia, with my associations occurring in a few different combinations. This helps me remember things, which can be both good and bad! 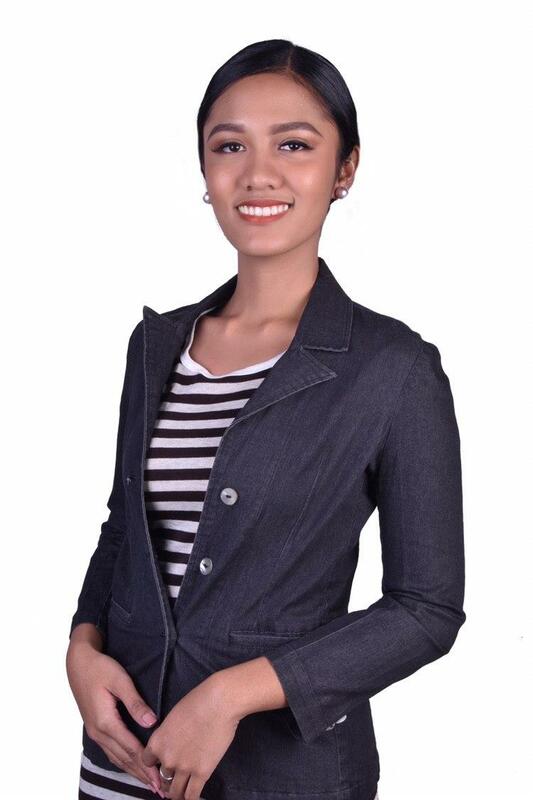 Angelique ("Angel") is a Business Administration Finance Major and has previously worked as a сost accountant for a manufacturing company before deciding to leave her 8–5 office job to become a virtual assistant at Trademark Factory® in May of 2017. Because of her dedication and impeccable attention to details, within a few short months, she was promoted to the position of an administrator. Angelique has expertise in both financial and legal administration. When she isn’t glued to a computer screen, she spends time serving in the community and church activities, cooking, and modelling. In 2015, I have passed the Civil Service exam before I graduated college on the actual date of my birthday. I won a crown in our city pageant on 2014 as the Mutya ng Turismo (Miss Tourism) among all other 24 contestants. I have won two beauty pageants and I do freelance modelling. I am a Valedictorian in middle school. I have received over 25 medals during my entire stay in school for academic honors. I am very close to my mom and I always find ways to spend time and have a bonding with her. I like to attend local rock band gigs. I am a proud member of Singles for Christ, a community where we serve towards evangelization and work with the poor. I have two cats and one dog. I used to have a pot-bellied pig and a civet cat before. I can do carpentry in my own room and I love making DIY arts and crafts. I have a joint venture with my dad for buying and selling of refurbished vehicles. Bronson Picket joined Trademark Factory as a Strategy Advisor in 2018. 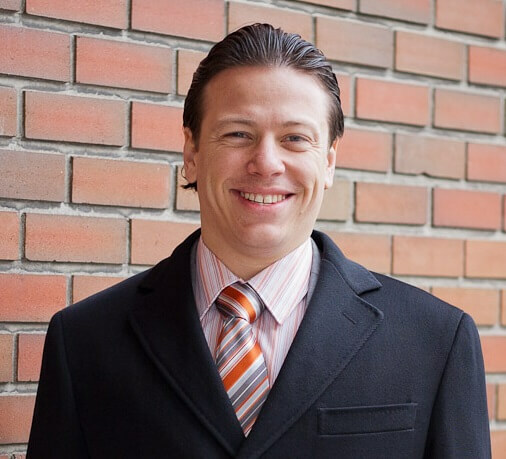 Bronson has previously worked in entertainment, real estate, software development, and telecommunications. While his other professions have taken him all over the world, and he very much enjoys traveling, his favorite place to be is home with his family. In joining Trademark Factory, Bronson not only loves the sense of family the company brings to the entire team, but to the clients whose dreams he is excited to help grow. I was asked to run for the U.S. Congress by the leader of the Rules Committee (I turned it down). I was a high fashion model in New York City and Milan, which jobs included runway shows for Armani and Ferre. I was lead singer of hard rock band, Pull in New York City, playing in venues which included The Continental Divide, The Mercury Lounge, and CBGBs. I originally planned on being a physics major until I discovered the joys of singing in a rock n’ roll band, which led to my becoming a theater major instead, despite having zero desire to become an actor. 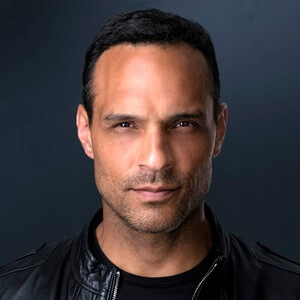 I became an actor: —and this is the link to my IMdB page. I am married to author and journalist, Lynn Snowden Picket. I politely declined to come back to the Oprah Winfrey Show, despite repeated offers to return. I co-wrote several patents for databases and software. I have two amazing children and a pit bull. Khoi became part of the Trademark Factory family near the end of 2018. 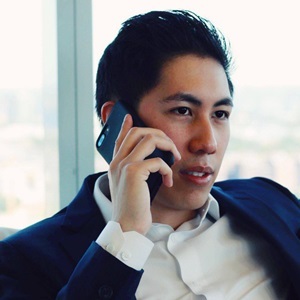 As a Strategy Advisor, he loves to get on the phone with people where he can help guide them to start trademarking what is important to them so that they can protect their brand, business and gain that critical sense of security. With each call, he is continuously learning and trying to improve as his goal is to make the process as straightforward as possible. I do Olympic Weightlifting, although I don’t even look like I lift. I would not mind training full-time. I love to dance salsa and bachata. I used to go by the name Stephane, but I told people to start calling me Khoi instead because a lot of people would sometimes mistake me for Stephanie. Both of these names are actually on my birth certificate. I used to be extremely shy and closed off. I got into a door-to-door sales job by mistake that enabled me to break out of my shell. My left ear suggests that I might be related to elves. I follow the Kaizen philosophy. I dedicate to becoming the best version of myself. I used to be a magician. I become obsessed with things that I start and develop an interest. I am a curious person. I google almost everything that comes to mind in an attempt to better understand, and I can be very resourceful with what I have. I excel at things that require coordination. 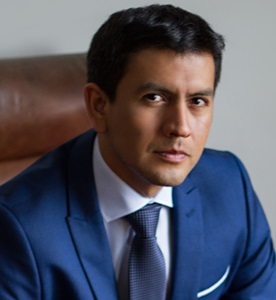 Rafael joined Trademark Factory in 2018 as a Strategy Advisor. He believes in the same values Trademark Factory does. He also believes trademarks are a great way to help entrepreneurs facing their fears and taking action to make a long-term commitment to their dreams and protect them. Rafael loves the team he works with and enjoys reading every message we share. I have spent at least a month in over 20 countries and all continents except Africa. By age 15 I had made over $3K winning math, grammar and public speaking contests and wanted to buy a Kawasaki Ninja motorcycle. My mom took the money from the contests and bought herself a car. She argues she was trying to save my life. I was raised Catholic, but no I have no particular religion now. I use stoic and budhist principles to face situations. My first business venture took me from Lima to Guangzhou where I went bankrupt and had to eat cheese and bread for 20 days. My first name used to be Emerson, but I ditched it because it did not represent my heritage and frankly I never liked it. Before Trademark Factory I use to be a Data Scientist (top 20 in Kaggle) for the SMB division of a large corporation, working with the marketing team. I hated it. I love the ocean, it makes me calm. I've always tried to live very near it. I walk over there everyday and meditate for a bit. I'm a sucker for all artificial intelligence, singularity stuff. I'm married to a beautiful dentist who dislikes my dressing style and likes my sense of humor. 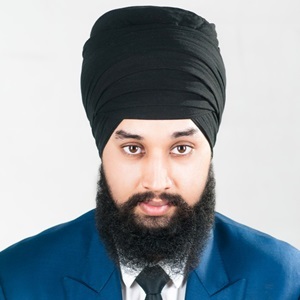 Roop has been a Strategy Advisor with Trademark Factory since 2018. He conducts his advisory role with a high level of integrity and moral fibre, putting the needs of the client as the number one priority. His dedication to help business owners protect their brand is such that he will often respond to emails in the middle of the night. If you’re new or experienced in getting brands trademarked, Roop is happy to guide you along that process and make it a pleasant experience. I’ve travelled to India at least 8 times in my life so far. I enjoy following an intermittent fasting approach to my diet. I am bilingual; able to speak both English and Punjabi. I naturally resonate to nature and anything natural, naturally. I have a degree in accounting and finance. I am CIMA part-qualified. I enjoy learning about space and the universe. I am left-handed. But I use a mouse with my right-hand. I have such a habit of steering with one hand that it has come to the point where it is now more difficult to steer with two hands. People suffer daily in the world, whether that be from poverty, hunger or day-to-day stress. If I can help reduce that even a little, I did something decent during my time here. Born in Lancaster, PA, Victor grew up knowing the small town could not hold him. Always improving himself, Victor has a passion for personal development, copywriting, web design and leadership. Since joining the Trademark Factory family as a strategy advisor, Victor has been lending his skills and knowledge to the team. 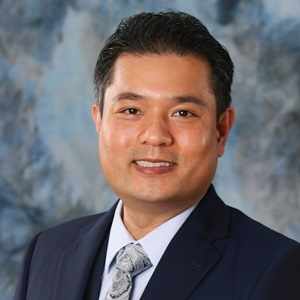 With his strong medical background, Victor naturally listens and helps those he speaks with, decide where to take their business. I have a dental degree. I was on a rowing team for 3 years and we placed gold all 3 years for the head of the Ohio race. I am a LEGO enthusiast. I possess a large collection of boardgames. I was MVP of my chess team in high school. I have a varsity letter for chess. I am a foodie and I want to try all the best food in the world. I volunteer at my local food bank. I have watched every horror movie known to man, including the ones with a $6 budget and made in their mom’s basement. Marko joined Trademark Factory team as a searcher in early 2017. 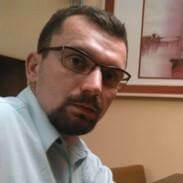 He graduated with his LLB from the Faculty of Law in Belgrade. He completed his Masters degree in Civil law with his thesis, “A Child’s Best Interest and The Hague Convention on the Civil Aspects of International Child Abduction”. During the studies he was engaged in numerous part-time jobs, while also being involved with growing fruit and beekeeping. He also organized exhibitions for the preservation of traditions and ecology and participated in the international debate camps as a contester. Marko has worked in a legal department of a wheat trading company and as intern in a lawyer’s office, while he worked for over 30 different employers from all over the world as a freelancer, which gave him a status of a top-rated Upwork community freelancer. In 2016, he was hired by the legal department of Serbian Ministry of Defense until he chose to leave the uniform behind and started working as a legal secretary for an elementary school. I am an author of the science paper, "The need for the introduction of ecological Ombudsman—example of Balkan Mountains", publicly defended at the Faculty of Law in Belgrade (Serbia) in 2012. I am spending every free moment of my time fishing, mountaineering and studying mushrooms. I am an author of one short novel and couple of short stories. I never gave up bees and cherry plantations, and I am constantly investing. After 11 years out of my home town, I am considering settling in with my family back there, being that it's the EU eastern border area. Motto that I value the most is, "Time has no price." I am a bit possessed with history, history books and mythology. I'm hoping my future will allow me to combine outdoor life close to nature and to develop my law career—all at the same time. I've edited 20 collections of legal articles, all published in Gulf countries. Vitaly Polukhin decided to become a programmer in the late 1990s, straight after secondary school. A physics and mathematics major, by that time Vitaly was already proficient in electrical engineering and had some experience writing computer code on old Soviet computers. He got his first job as a programmer while still attending high school. He has since worked for the government, telecom companies, and outsourcing companies. He has also worked as the head of Gazprom's IT department. 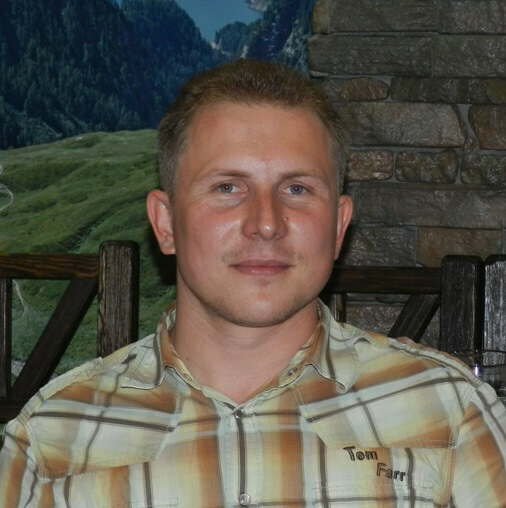 Vitaly joined Trademark Factory® as a full-time web developer in 2014. I wrote my first program when I was 8. I assembled my first electrical circuit when I was 11. While still a secondary school student, I won a physico-mathematical competition organized by the Moscow Institute of Physics and Technology (a Russian version of MIT). I had an unforgettable 7-day trip to Kazakhstan when I traversed across the entire country by train with innumerable stops and change-overs. I made a 3-day trip Thailand for only $50 (including air and hotel)—and fell in love with the country. I go to the Altai Mountains several times a year. This is a very beautiful place. I still play Quake III and first Starcraft. I go to the gym. I'm proud of my personal record in bench press, 6x100kg. I helped create Harvard's River City Project, a unique multi-user virtual educational environment. I am learning Python and machine learning and can't wait to implement this knowledge in Trademark Factory® projects soon. In the end of the day, it doesn't matter what we say about Trademark Factory®. What counts is what our clients say about us. Check out their 41 reviews and video testimonials.